The Unitarian Universalist Fellowship of Fairbanks found a way to create meaningful change for our transgender friends and neighbors. Many transgender people do not have identification that includes their correct gender marker. This exposes them to discrimination and possible harm every time they must use their ID. Current federal policy allows transgender people to get a corrected U.S. passport if they have a letter from their healthcare provider. For many transgender people, this is the only form of corrected ID they are eligible for. 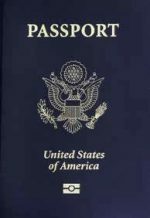 Having a corrected passport is especially important in states with very restrictive policies for changing gender markers on state documents. Stone Soup Cafe – UUFF volunteer day has changed! UUFFers have been helping out one day a month at the “Stone Soup Cafe” soup kitchen for several years. The volunteering continues, but the day has changed. We will now be volunteering there on the LAST Thursday of the month instead of the first, because that is a day when they typically have fewer volunteers. The Stone Soup Cafe is located in the basement of the Eagles Hall near the Wendell Street bridge. If you are interested in joining us, come by between 8 a.m. and noon. Most people stay about 2 hours, but any time you can spare is appreciated. If you’re interested in knowing more, talk to Suzanne and Phil Osborn, Peg Bowers, Betty Pixley, or Marilyn Russell. Come join us! UUFF Needs a Treasurer Immediately! This Sunday: Last summer the Anchorage Assembly faced one of it’s most controversial issueswhether to ban discrimination in the city based on sexual orientation. Assembly member Harriet Drummond will speak about her experience. Lay Leader, Mike Walleri. Speaker, Harriet Drummond. Accompanist, Vera Alexander. After the service (12:30) there will be a “Community Conversation” on GLT issues and development of an action agenda. A light lunch will be provided. Potluck items appreciated. Treasurer Julia Stewart is looking for someone who is willing to become treasurer next year. We have an accountant for the computer work. The treasurer must keep track of cash flow through the accounts and help plan the budget and chair the finance company. It requires 3-4 hours a week. If you think you could help, contact Julia in the office after services or contact us by email.